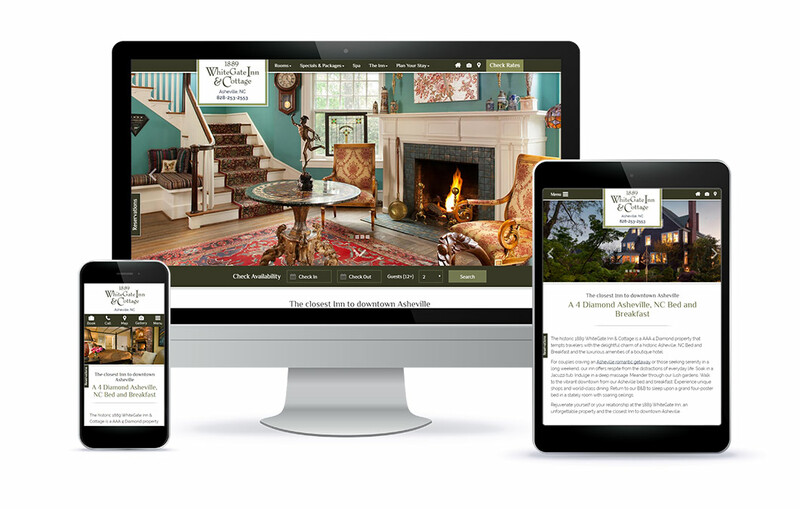 At White Stone Marketing, we have worked with Frank and Ralph of the WhiteGate Inn for many years now. They are the type of innkeepers who you simply grow to love over time and would do absolutely anything for! 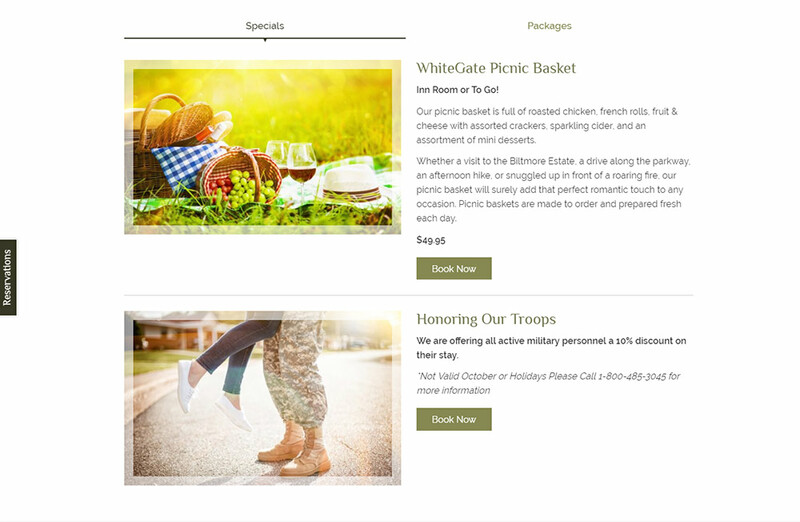 As their previous White Stone Marketing website was growing a little “long in the tooth”, we knew we needed to provide a fresh update to not only implement the latest technology but also to bring new life into the inn itself. Over the years, Frank and Ralph have focused on many new developments – unique twists to their breakfast offerings, full service elopements, excellent spa amenities, and an expansion of their pet friendly services as well. 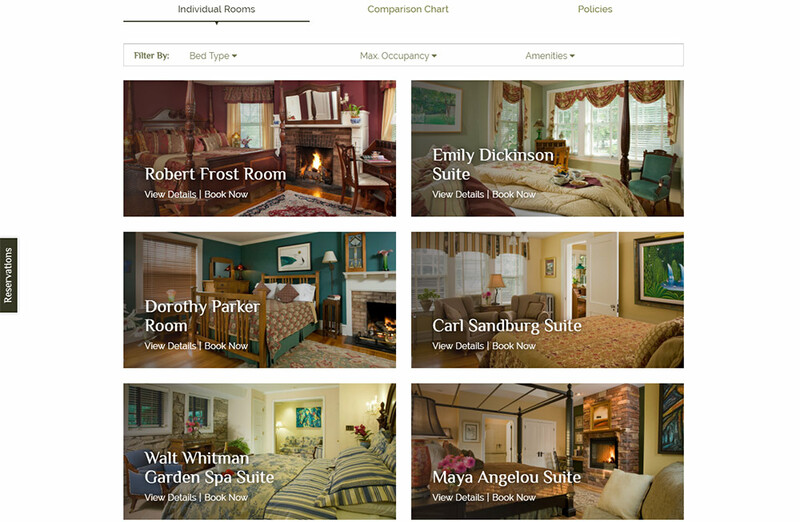 As they seek to expand and grow the inn, as their marketers and designers, we must meet that challenge and grow with them to ensure they are taking advantage of all that is available to them. As we always seek to do, we met the challenge head on and developed a new look and feel with our Keystone Template. 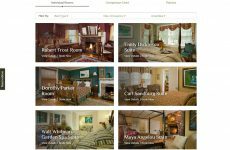 You’ll note the unique room browser, the fantastic itineraries, an Asheville activities blog as well as a more developed pet friendly page. Our goal it to keep our clients’ revenues climbing year after year and to do that, we have to be in touch with what is working and what is resonating with the traveler. 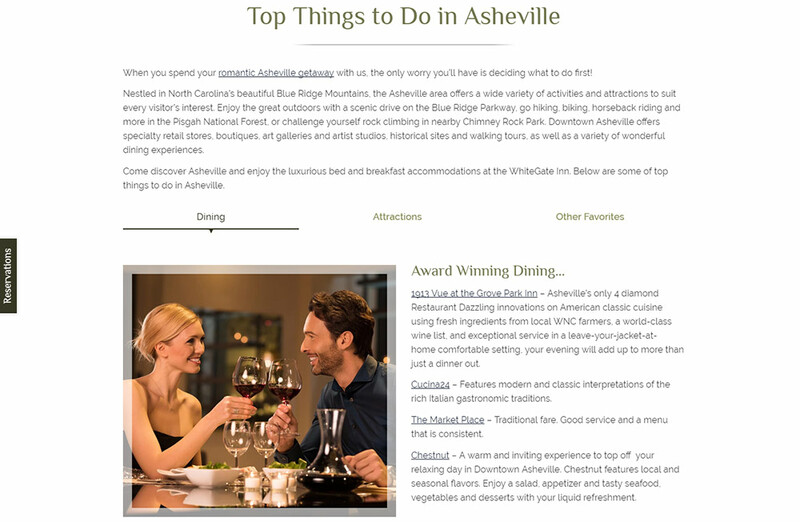 Asheville, NC is a competitive market with not only an inn but some sort of lodging establishment on just about every corner of town. In order to compete in this market, you have to hire the best. 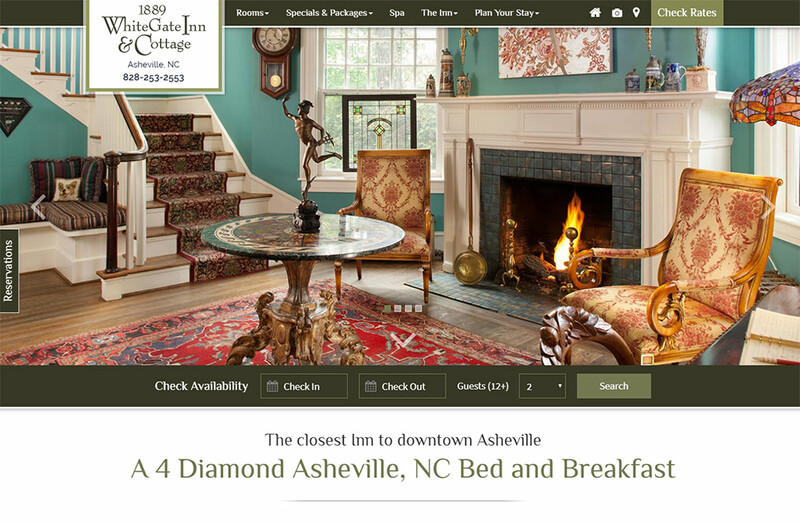 Frank and Ralph have trusted us with their marketing for nearly a decade now and we couldn’t be more pleased with how well they are doing and the new initiatives they continually put in place to upgrade their Four Diamond Asheville, NC Bed and Breakfast. Frank and Ralph will always be two of the best innkeepers I have known. No matter where they go in life and no matter what they do, their imprint on our hearts and lives will have left an indelible mark.